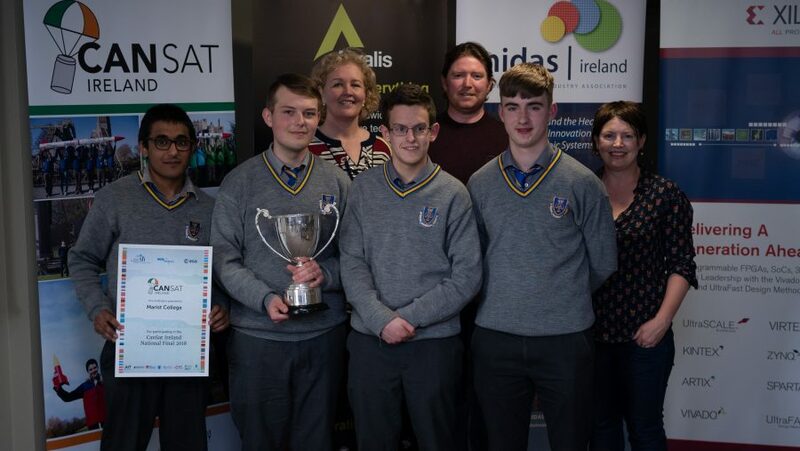 April 27, 2018 – Following 2 days of strong competition in the CanSat Ireland National Finals during Tech Week 2018, a team of students from Marist College, Athlone, won the coveted national title and will go on to represent Ireland at the 2018 European CanSat Finals, to be held at the Regional Fund for Science and Technology (FRCT) on the island of Santa Maria, Azores. 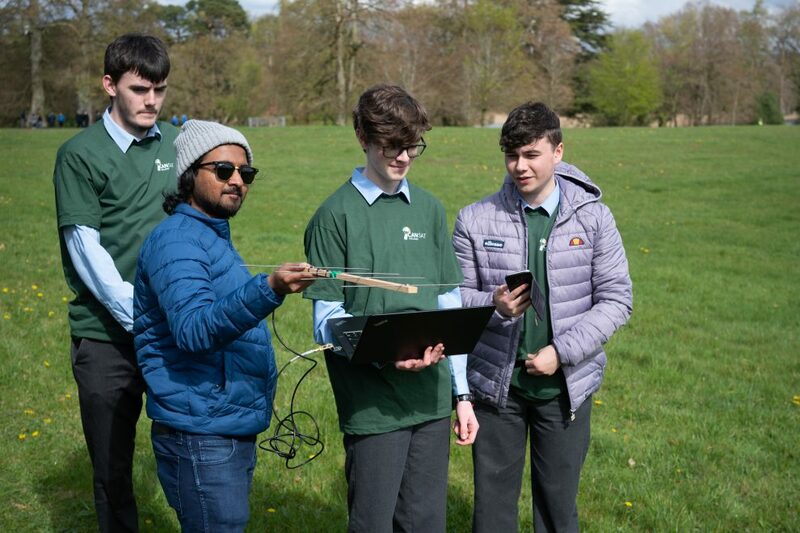 The CanSat Ireland competition is an ESERO Ireland collaboration, co-funded by the European Space Agency and Science Foundation Ireland and coordinated by CIT Blackrock Castle Observatory. Regional winners from Marist College (AIT), Douglas Community School, (CIT), Confey Community College (DIT), Coláiste Muire (GMIT), St Mary’s CBS (LIT/ITT), and Ursuline College (ITS) gathered in Emo Court, Portlaoise Co. Laois, on Thursday 26th April, and launched their mini-satellites in rockets built and launched by the Irish Rocketry Society. On Friday, 27th April, these national finalists presented their analysis, recordings and flight patterns to the judging panel consisting of John O’Donoghue CEO of Enbio, Marie Walsh, Department of Applied Science, Limerick Institute of Technology and Stephanie O’Neill, ESERO Ireland Manager.